This week I got the new album by Adèle, 21. Since then I listen to it almost non-stop. I love Adèle, what a voice, what a style and what a beautiful person! So today a tribute to Adèle. Listen to Someone like you, my favorite song on the album. 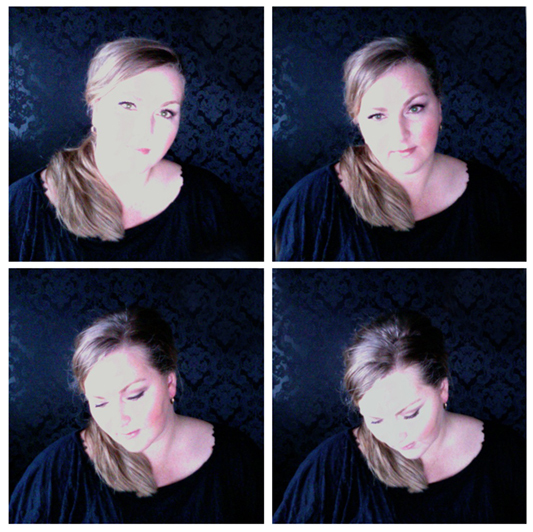 I made a selfportret, with hair and make-up like Adèle. I think I keep it like this for now… I must say I like it, hope you like it too. Here some random pictures of Adèle I picked up on the internet. Her style is such an inspiration for me. The first two are pictures of her when she performed on The Voice of Holland. A bit blurry but I hope you get the idea! That dress was so amazing! I was told it’s made by Janice and it’s his new spring collection 2011. I certainly will go on a hunt for that dress!! Wat een mooie foto's van jou!